Dora Kunz “The Real World of Fairies” discussion Wednesday night in Southampton. No fee, all are welcome. | Be Kind. We're all in this together. 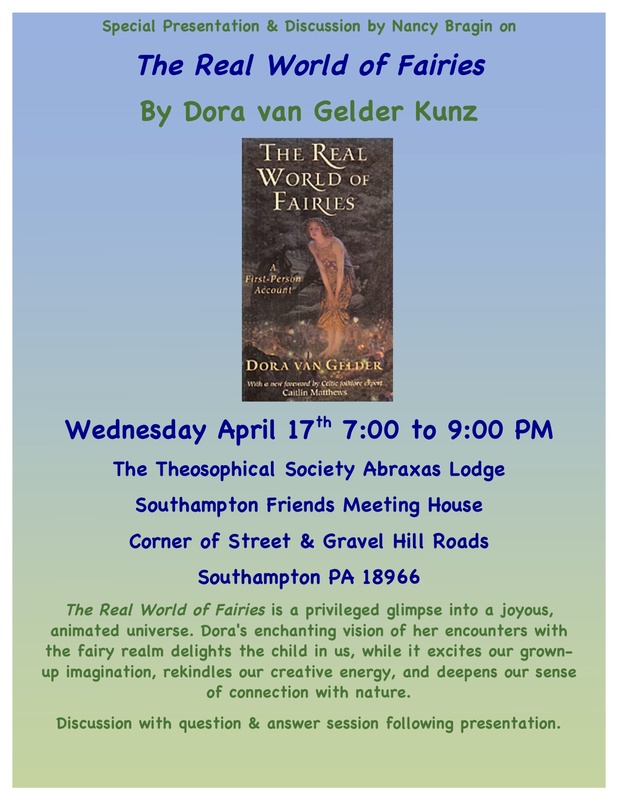 Dora Kunz “The Real World of Fairies” discussion Wednesday night in Southampton. No fee, all are welcome. This entry was posted in Uncategorized and tagged Consciousness, Dora Kunz, Dora van Gelder, enlightenment, fairies, inspirational, nature devas, self-realization, spiritual author, spirituality, Theosophical Society, tree spirits. Bookmark the permalink. ← Don Hoes “Higher Consciousness Through Meditation”, The Golden Age of Love Wednesday Night 7:30 in Southampton. Join us for an inspiring evening. Free of charge, all welcome.